Professor Tom Markvart is Professor of Energy Conversion within Engineering and Physical Sciences at the University of Southampton. 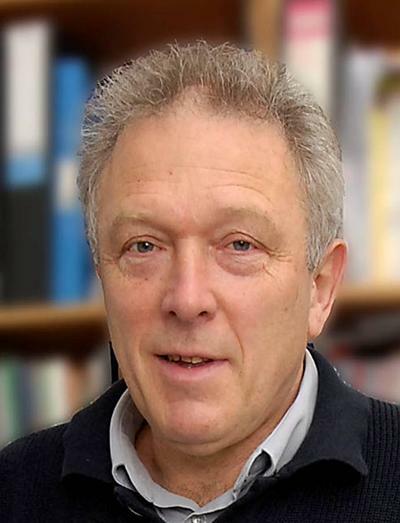 Tom Markvart obtained BSc and PhD in Mathematical Physics from the University of Birmingham in 1974 and 1975, respectively. He came to Southampton in 1977 as a Research Fellow in the Department of Mathematics and later Engineering Materials. After brief periods at ONERA/CERT in Toulouse and Instituto de Energia Solar at Universidad Politecnica de Madrid he returned to Southampton as Head of Solar Energy Centre. In 1994, he was awarded the Royal Academy of Engineering/EPSRC Clean Technology Fellowship, becoming Reader in 2002 and Professor of Energy Conversion in 2009. Tom Markvart is the UK representative on European Platform of Universities Engaged in Energy where he is member of the Steering Committee. He is a member of the Editorial Boards of Solar Energy Materials and Solar Cells and Journal of Photonics for Energy, and has served on a number of advisory boards for international conferences. His Solar Electricity (2nd ed, Wiley, 2000) remains among the most popular textbooks on photovoltaics; Practical Handbook of Photovoltaics: Fundamentals and Applications (with Luis Castañer) was published Elsevier in 2003. Tom’s research interests span the breadth of photovoltaics, including fundamentals of PV conversion, materials and device aspects, and both stand-alone and grid connected PV systems. His research currently focuses on new concepts in photovoltaics, principally the application of light harvesting to enhance the photoexcitation of silicon, the use of photon frequency management for the capture and concentration of sunlight, and the thermodynamics of light. The operation of a solar cell bears a remarkable similarity with the most ancient solar energy converter on Earth: the photosynthetic apparatus of plants, algae and photosynthetic bacteria. This project aims to enhance the operation of solar cells by trapping fluorescent light in the waveguiding modes of dielectric structures – or directly in solar cells. Transmitting power from an aerostat flying above the clouds. Markvart, T. (2015). Do we need a solar power breakthrough? The Conversation. Aglietti, G. S., Redi, S., Tatnall, A. R., & Markvart, T. (2008). High altitude electrical power generation. WSEAS Transactions on Environment and Development, 4(12), 1067-1077. Markvart, T. (2005). Media interview: microgrids as peer-to-peer energy. BBC News Online. Markvart, T., & Arnold, R. (2005). Microgrids: power systems for the 21st century. Ingenia, (24), 24 -27. Halliday, J. A., Markvart, T., & Ross, J. N. (2003). Battery management for PV systems. Power Engineer, 17(1), 46-46. Markvart, T. (2001). Solar electricity for the third millennium (feature article). Photovoltaics Bulletin: Elsevier Advanced Technology, (1), 7-11. Markvart, T., Arnold, R. J., & He, W. (2000). How to build a photovoltaic system. Optoelectronics Review, 8(4), 333-338. Markvart, T., & Castaner, L. (Eds.) (2004). Solar cells: materials, manufacture and operation. Oxford, UK: Elsevier. Markvart, T., & Castaner, L. (Eds.) (2003). Practical handbook of photovoltaics: fundamentals and applications. Oxford, UK: Elsevier. Markvart, T. (2009). Counting sunrays: from optics to the thermodynamics of light. In V. Badescu, & M. Paulescu (Eds. ), Physics of the Nanostructured Solar Cells New York, USA: Nova Science Publishers. Markvart, T., Castaner, L., Ahm, P., Krebs, F., & Risø National Laboratory (2006). Photovoltaics. In H. Larsen, & L. S. Petersen (Eds. ), Renewable Energy for Power and Transport (pp. 37-40). (Risø Energy Report; No. Risø-R-1557(EN)). Roskilde, Denmark: Risø National Laboratory. Castaner, L., Bermejo, S., Markvart, T., & Fragaki, K. (2003). Energy balance in stand-alone PV systems. In T. Markvart, & L. Castaner (Eds. ), Practical handbook of photovoltaics: fundamentals and applications (pp. 531-542). Elsevier. Castaner, L., Bermejo, S., Markvart, T., & Fragaki, K. (2003). Energy production by a PV array. In T. Markvart, & L. Castaner (Eds. ), Practical handbook of photovoltaics: fundamentals and applications (pp. 517-530). Elsevier. Thornycroft, J., & Markvart, T. (2003). Grid-connection of PV generators: technical and regulatory issues. In T. Markvart, & L. Castaner (Eds. ), Practical handbook of photovoltaics: fundamentals and applications (pp. 635-654). Elsevier. Landsberg, P. T., & Markvart, T. (2003). Ideal efficiencies. In T. Markvart, & L. Castaner (Eds. ), Practical Handbook of Photovoltaics: Fundamentals and Applications Elsevier. Markvart, T., & Castaner, L. (2003). Principles of solar cell operation. In T. Markvart, & L. Castaner (Eds. ), Practical handbook of photovoltaics: from fundamentals to applications (pp. 71-94). Elsevier. Markvart, T., & Castaner, L. (2003). Semiconductor materials and modelling. In T. Markvart, & L. Castaner (Eds. ), Practical Handbook of Photovoltaics: Fundamentals and Applications (pp. 95-122). Oxford, UK: Elsevier. Markvart, T. (1970). Optical to Electrical Energy Conversion: Solar Cells. In J. P. Dakin, & R. G. W. Brown (Eds. ), Handbook of Optoelectronics Oxford, UK: Taylor & Francis. Markvart, T., Danos, L., Alderman, N., Fang, L., & Parel, T. (2012). Harvesting sunshine: solar cells, photosynthesis and the thermodynamics of light. 27th European Solar Photovoltaic Conference and Exhibition, Germany. Markvart, T. (2012). Solar energy: power to the people. 2012 IET Energy Lecture, India. Parel, T., Fang, L., Chu, X., Danos, L., & Markvart, T. (2011). Comparison of fluorescent down-shifting layers for increasing the efficiency of CdS/CdTe solar cells. 87-89. Paper presented at 7th Photovoltaic Science, Applications and Technology Conference C93 (PVSAT-7), United Kingdom. Fang, L., Parel, T., Danos, L., & Markvart, T. (2011). Modelling the performance of fluorescent solar collectors. 165-168. Paper presented at 7th Photovoltaic Science, Applications and Technology Conference C93 (PVSAT-7), United Kingdom. Redi, S., Aglietti, G. S., Tatnall, A. R. L., & Markvart, T. (2010). Preliminary design of lighter than air solar collectors. Paper presented at 8th International Airship Convention, United Kingdom. Markvart, T. (2010). Solar energy conversion: kinetics, thermodynamics and reciprocity. The Artificial Leaf, Netherlands. Redi, S., Aglietti, G. S., Tatnall, A. R., & Markvart, T. (2009). Collection of solar energy at high altitude. In Proceedings of the 24th European Photovoltaic Solar Energy Conference (pp. 4311-4317). Munich, Germany: WIP-Renewable Energies. Markvart, T. (2009). What is the highest voltage that can be generated by a solar cell?. Paper presented at 21st Worskhop on Quantum Solar Energy Conversion (QUANTSOL 2009), . Aglietti, G. S., Redi, S., Tatnall, A. R., & Markvart, T. (2008). Exploitation of high altitude solar energy. Paper presented at 2nd WSEAS/IASME International Conference on Energy Planning, Energy saving, Environmental Education (EPESE '08), . Markvart, T. (2008). Solar electricity for the third millenium. Paper presented at Low Carbon Technologies for Decentralised Power Production, . Markvart, T. (2008). Thermodynamic concepts in quantum solar energy conversion. Paper presented at 20th Workshop on Quantum Solar Energy Conversion (QUANTSOL 2008), . Kittidachachan, P., Meyer, T. J. J., Danos, L., & Markvart, T. (2007). Characterisation of fluorescent collectors in terms of fluorescence collection efficiency. 301-305. Paper presented at Proceedings of the 22nd European Photovoltaic Solar Energy Conference, . Danos, L., Jones, G., Greef, R., & Markvart, T. (2007). Interference effects observed in ultra-thin c-si solar cells: modeling and experiment. 402-405. Paper presented at 22nd European Photovoltaic Solar Energy Conference and Exhibition, . Danos, L., Kittidachachan, P., Meyer, T. J. J., Greef, R., & Markvart, T. (2006). Characterisation of fluorescent collectors based on solid, liquid and Langmuir-Blodgett films. Paper presented at 21st European Photovoltaic Solar Energy Conference and Exhibition, . Markvart, T. (2006). Fluorescent collectors, photovoltaics and the thermodynamics of light. Second Czech Renewable Energy Conference, . Markvart, T., & Fragaki, A. (2006). Sizing of stand-alone photovoltaic systems: a new approach. Paper presented at 3rd International Workshop on the Teaching of Photovoltaics (IWTPV'02), . Markvart, T. (2006). Solar microgrids: a new integration concept for photovoltaic generators. Paper presented at 21st European Photovoltaic Solar Energy Conference and Exhibition, . Kittidachachan, P., Markvart, T., Ensell, G. J., Greef, R., & Bagnall, D. M. (2005). An analysis of a "dead layer" in the emitter of n/sup +/pp/sup +/ solar cells. 1103-1106. Paper presented at 31st IEEE Photovoltaic Specialists Conference, . Markvart, T., & Landsberg, P. T. (2004). Open circuit voltage enhancement in ideal thin solar cells. 206-207. Paper presented at 19th European Photovoltaic Solar Energy Conference, . Markvart, T. (2004). Thermodynamics of photovoltaic energy conversion. 65-68. Paper presented at International Workshop on Teaching in Photovoltaics ’04, . Markvart, T., & Landsberg, P. T. (2003). Detailed balance method for thin photovoltaic converters. 206-207. Paper presented at Proceedings of 16th Workshop on Quantum Solar Energy Conversion, . Fragaki, A., & Markvart, T. (2003). Does global warming affect the design of stand-alone PV systems. 155-156. Poster session presented at Materials Research Group, . Markvart, T., & Landsberg, P. T. (2003). Everyman's guide to third generation efficiencies. In Proceedings of 3rd World Conference on Photovoltaic Energy Conversion (pp. 266-269). (IEEE Conference Proceedings; Vol. 1). USA: Institute of Electrical and Electronics Engineers. Markvart, T., & Landsberg, P. T. (2002). Solar cell model for electron transport in photosynthesis. In Proceedings of the 29th Institute of Electrical and Electronics Engineers Photovoltaic Specialists Conference (pp. 1348-1351). Institute of Electrical and Electronics Engineers. Markvart, T. (2002). Teaching the physical principles of photovoltaics or solar cell as a quantum converter. Paper presented at International Workshop on Teaching in Photovoltaics (IWTPV '02), . Markvart, T., & Landsberg, P. T. (2000). Solar cell model for electron transfer in photosynthesis. Paper presented at 12th Workshop on Quantum Solar Energy Conversion (QUANTSOL 2000), . Markvart, T., Danos, L., Kittidachachan, P., & Greef, R. (1970). Detailed balance efficiency of ideal single-stage fluorescent collectors. 171-174. Paper presented at 20th European Photovoltaic Solar Energy Conference, . Meyer, T. J. J., & Markvart, T. (1970). The chemical potential of fluorescent light. 399-403. Paper presented at Proceedings of the 23rd European Photovoltaic Solar Energy Conference, . Markvart, T. (Author). (2008). Bring me sunshine. Digital or Visual Products, BBC Radio 4.